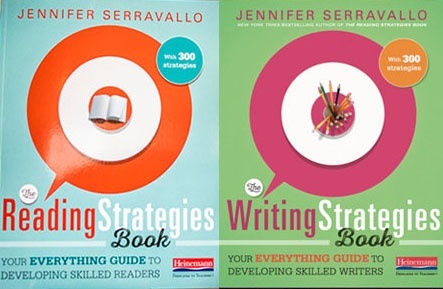 We're talking with author Jennifer Serravallo on her forthcoming on-demand course with Heinemann; Strategies in Action: Reading and Writing Methods and Content. Tell me about this course/what can I expect? How is the course different from a webinar? I see there is an age range of students you’re working with in the course, can I apply this work to any grade? Should I use either The Reading Strategies Book and The Writing Strategies Book while I’m taking the course? If I have not yet read either of The Reading Strategies Book or The Writing Strategies Book will I be OK to take the course? What kind of credit can I get from the course? If I've already taken a webinar with Jen, or been to one of Jen's offsite workshops, will the information be repetitive? For more information and details on the new course click here. Jen: So the Digital Campus courses are new as of, what, Brett, maybe three years ago? Brett: A few years, yeah. Jen: So they're a few years old. There's a nice library of different courses in there. I have a course already that's been out for a couple of years, that's about teaching reading in small groups, so this will be my second Digital Campus course. And for those of you who are new to the format of a Digital Campus course, it basically goes like this. It's an online, self-guided course. This one has eight sessions in it and each session should take you about an hour of computer time with additional time spent doing suggested readings or trying things out in your classroom in between the sessions. In this course, in the Reading and Writing Strategies course, I took a topic that goes together from the reading side and the writing side. So, for example, I have one session that's about reading comprehension and fiction, and then also writing craft related to writing narratives. And then another session, I have taken the print work in readings, like decoding, monitoring for meanings, self correcting, and connected it with spelling in writing. So I'm making these reading and writing connections within each session. The eight sessions work together as a whole course. They build on each other from session to session and they could also be taken standalone if you're just interested in one particular topic. Within each session, I've also decided to focus on a method of teaching. My aim was to, across the whole course, show people the big picture of what comprehensive literacy instruction can look like. So you'll get, in one session, you might learn about conferences and strategy lessons. In another session, you might learn about read-alouds and mini lessons. In another session, interactive writing and shared reading. And so, across the course, you're gonna get a lot of content and also a lot of methods. So, it's really about bringing these strategies to life in the classroom, seeing these strategies in action and I had a lot of fun filming tons and tons of videos. There's actually about 40 videos of me teaching kids in the classroom, kindergarten through eighth grade, a whole different range of grade levels. So yeah, it's about methods, it's about strategies, it's about making reading and writing connections. In the actual course, you take it whenever you have time. I'm not live with you, so whenever you have time, you can sit down and you kind of work through it at your own pace. Brett: And one of the cool things about that, Jen, that I love is you can take a session of it, go try something in the classroom, come back, and take that learning and pick up where they left off and even sort of think through it a little bit longer, as opposed to a webinar where it's all sort of happening in that moment. This is actually a great opportunity to sort of pause, go, and come back. Right? Jen: Yeah, and they're really, the activities within the course are really designed to help teachers take what they learn and have actions. So, there's a-- At the end of each session, there's a part, um, what's it called? Read, do, teach, I think. Read, reflect, do, and teach. So there's suggestions for a reading, some of them you can download, some of them are suggestions of other books that you might have, texts that you can read that go along with the topic that we're talking about, things that you can do. That might be planning or studying assessments. And then, ways that you could actually try some teaching in your classroom. And so, yeah, it's really-- I mean, I hope people are doing this in webinars, too, that they're taking what they learned and they're going back and trying it. It's really an important part of this course that you have some action in the classroom after you've taken a session and you come back with that experience. Brett: So, you know, we talked a little bit about it there, just the difference between what it is from a webinar versus a course. Is there anything really we'd wanna cover more about the differences between webinar and course? Jen: Well, they're both online, right? So, they're both... And a webinar is a... While the intention is that people take the webinar live, they're also recorded, so you could also go back and watch it after the fact. So, I think the online format is really helpful for a lot of people, because sometimes it's hard to get subs to cover you to go to a workshop for the whole day or sometimes it's hard for you to have the funding to be able to do those kinds of off-site experiences. So, both webinars and the course are both online, so that means you can take them-- Some schools, um... Like, there's a school in Colorado that's bought the Teaching Reading in Small Groups course for the district, and the teachers use their PLC time to take the course, and then they get together in collaborative groups and discuss. I know of teachers who, with my other course have decided, you know, "This goes with my professional learning goal for the year," and then their principal has sponsored their taking of the course, and other people that are just really interested in it and take it on their own time. So, lots of different ways you-- places when or times when you could take it, and different versions of taking it with others or taking it alone. What else could I say? So, webinar. The format is really different, too. The webinar is kinda like the Zoom. You know, we use the Zoom platform for webinar. I'm on the whole time; I'm talking to you like you would hear me talk to you in a workshop and usually, there's a slideshow that you're seeing that's kind of going along with my webinar. A course is really different. In a course, imagine that in one session, you have like eight different slides or eight different screens, and in each page or each screen, you read a tiny bit, maybe like two minutes of reading, like you would read from a professional book, and then maybe you'll see a video of me teaching in the classroom, and then there's activities of something to do with the video. Or in the next page, maybe you'll have some student work examples, and I'll lead you through a series of questions of what to be looking for and what to try. And in each of those pages, you're gonna be entering in your response. And then, after you enter in the response, you'll get to see all the other comments from everyone else who's taken the course. So it's sort of like on Facebook, how you have the comment thread and you'll see other people's responses who have also taken that same course. So, in a webinar, we're live, and the chat box is sort of the interactive element while you're on. In a course, it's really on your own time and there's much, much more video. So, you know, in a webinar, in a three session webinar, I might show three five minute videos. In this course, there are about 40 videos and some of them are 10 minutes long, 15 minutes long, five minutes long, so you get a lot of peeks into the classroom and seeing me work with students. Jen: Yeah. That's true, yeah. Brett: Plus, it's also a great opportunity to continue to use the Facebook group, as well, where if you're taking the course with some colleagues, or even with people across the world or across the country, you can pop back into the Facebook group in addition to the comments that happen within the course and you can continue that learning within the Facebook group as you go session through session. So it's just another way you can kind of take advantage of the on-demand style of the course. So, Jen, that in mind, how should we use the course? Jen: Well, I think there's different versions. I think that it could be great for an individual teacher who's interested in the topic and wants to do some more study. It could be that... You can get credit for it, so for some people it might be that they want-- You can get graduate credit for this course so they may be seeking additional graduate credits. Maybe someone can pop in the comments a link to more information about the credit opportunities. So maybe for some people, that's something they're interested in doing. In other places, it might be that they want to do a professional learning group at their school, either a grade level group, or the whole school is interested in engaging in this course together. Kind of like a book study, where instead of reading a chapter and then coming to talk about it, you could do a session and then come together and talk about it. So I think there's lots of different versions of how this might be helpful for people and how it might show up in schools and in districts. Brett: I see there's an age range of students in the videos that you're working with in the course. Can I apply this work to any grade? 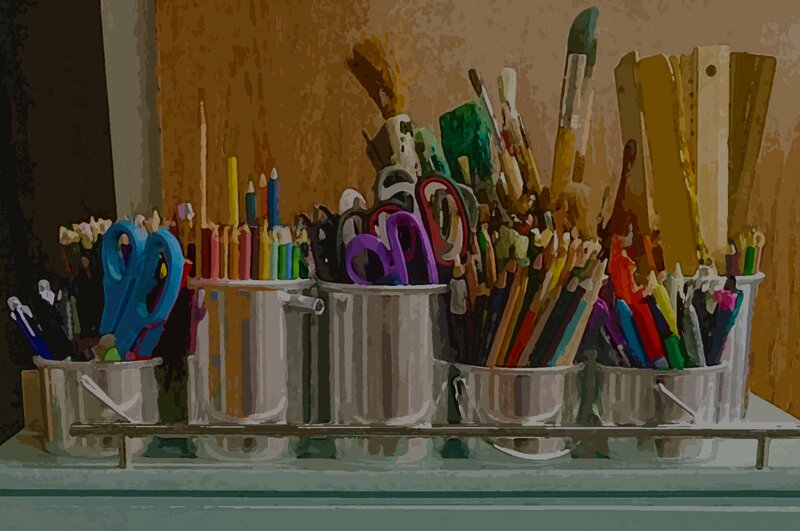 Jen: The course has eight sessions and there's one session that's really focused on emergent reading and writing, so that one's pretty focused for younger students but the remainder of the course is for really any grade, any age. There's a lot of opportunity throughout the course to dip into the Reading and Writing Strategies Books and really use them and get to know them well. That applies to every grade level. And the methods of teaching that I'm highlighting in the course, like a conference or a strategy lesson, those are structures of teaching that work across any level, really any content area, as well. They work in reading, they work in writing, they work in math -- you could do a strategy lesson in math. So you're learning methods of teaching that are gonna work for everybody in every grade. Of course, you might see for example a strategy lesson with fourth graders but whether you're a kindergarten teacher or an eighth grade teacher, looking at the teaching moves, the structure of the lesson itself, the pacing of the lesson, unpacking what you learn about students during that lesson, that really applies to everybody. So I really wanted to make-- I purposefully shot videos in K through eight classrooms to make it accessible to all. Brett: Should I use either Reading Strategies Book and Writing Strategies Book while I'm taking the course? Jen: Yes, definitely, you should use both. Both of those books are, I want to say, highly recommended. Throughout the course, I'm really asking people to go into the books and do stuff. So for example, in one session, you might watch a video of me assessing a student, asking a series of questions to try to find a goal and then I'll ask you, based on what you just heard, what do you think the goal would be? And you'd respond in the chat box and then my response would come up. And then I might ask you, "So go into the chapter that corresponds to, let's say, plot and setting, Understanding Plot and Setting, and find three strategies that would work for this student. And then, again, you'd type in your response in the chat box, and then you'd see my suggestions, with commentary of why. And so what I'm hoping is, that it helps people feel really comfortable, help them use the book really efficiently, help them visualize how these strategies look when we're actually teaching real children, right? Not just words on a page, but with actual students. So my hope is that this course feels like a way to interact with these books, really engage with these books, use them efficiently and effectively. Brett: Now, what if I have not yet read either Reading Strategies Book or the Writing Strategies Book? Will I be okay to take the course? Jen: Yes. I think it'll help people, because I really want to make sure people have the books. I think they'll get even more out of the course if they're really using the book along with it. So yeah, if the book is brand new to you and you feel like you really want some guidance digging in, this course would really help you do that. Also if you've been using the book a while, I think you'll still find that there's a lot of helpful stuff in this course to help you deepen your practice and use the book even more efficiently. I was just recently with a district that bought the book for the whole district. They've had it for t-- The Reading Book, they've had it for two years, and they asked me to come in and I was a little nervous, since like, "Gosh. What am I gonna share with them? They've been using this book for two years." But I think they found that there was a lot of advice, of kind of hacks, of ways to use the book quickly, and seeing videos of me teaching really helped bring things to life for people so there's a lot of that same kind of gestalt in this course, as well. Brett: So Jen, if I have already taken a webinar with you or I've been to one of your off-site workshops, will the information be repetitive or will it be different? Will it be new? What can I expect from the details of what's in the course? Jen: This course is not just my webinar recycled into a new format. It really is a lot of new content. For example, if we're comparing a webinar: So I do three-part webinar series, I did it in the fall, I'm doing another one in the spring. In those three webinars, I cover about an hour each. It's like three hours, and I show maybe one video in each of those three hours. Compared to this course, which is eight hours plus additional time for reading and practice, 40 videos, each ranging from five to 20 minutes. So it's a lot more information, a lot more content. The organization is very different, too. So I mentioned earlier, for those of you who are just joining, the way that I structured this course, each session looks at a reading and a writing corresponding goal. So I've been looking at print and spelling. I'm looking engagement and reading engagement and writing, and putting them together. Comprehension reading fiction and writing narrative, writing story, and then put them together. So what I'm hoping people get from this course in addition to seeing these strategies come to life is that they're understanding how to make those reading and writing connections. I haven't gone deeply into that in my one-day workshop that I do around the country through Heinemann or in the webinar that I do for Heinemann, so I think you'll find that that's new. Just the sheer hours, it's a lot more content. And I also, I'm covering ground that I haven't presented on in a while, so mini lessons, read-alouds, book clubs, partnerships. There's a much broader scope of the methods of teaching. There is a little bit of common ground. Like, I talk about what a strategy is. Got to, kind of foundational stuff. I talk about the hierarchy of goals for reading and writing. I do that in my webinar, in my online course, and also on my in-person workshops but I think people who have seen me do other things will find that there's a lot of new content and maybe the stuff that's a little bit familiar ground, it'll feel good to have a refresher. You can nod along during that part and be like, "Okay, good, I know this." Confirms what you already know. I think there's plenty of new information so if you've liked my webinar, you've liked my in-person workshop, this might be helpful for you. Brett: And we actually have a question. You did touch upon this towards the beginning of our chat, about: This is a different course, from your other Heinemann on-demand course, as well. Can you just touch upon, just remind people what the other course is, and what it's about? Jen: Sure, sure. So my other Digital Campus course, which I wrote, I think it was two or three years ago, is titled "Teaching Reading in Small Groups" and that one is only about reading. In that course, I talk about assessment. I talk about some conferences and small group instruction, and it's only reading. This one, the Strategies In Action Digital Campus course, is reading and writing. It's really 50/50. I've given exact equal time to both, making connections between reading and writing, and expanding the scope outside of just conferences, although there are videos of me teaching in conferences in small groups in this course, as well. The scope is much broader; there's lots of whole class instruction and other sorts of small group instruction that you won't see in the other course. All of the videos are unique, so even if it's the same method, like say, a Research-Decide-Teach conference in the Teaching Reading in Small Groups course, I also have Research-Decide-Teach conferences in this course, but it's a different video with a different age student. It might be writing instead of reading, so it's a lot of new content. So yes, if you've taken that course, and you like the format or you found it helpful, this would definitely be new content, new information for you. Brett: We've got a question from the group. "Does the course primarily focus on students who are on level, or those who need intervention?" Jen: It's a mix. It's a complete mix. So I filmed... I don't know if I'm allowed to disclose where I filmed. I'll say, I filmed in Title I schools with very diverse population of students. There's one particular school district I loved visiting in central New Jersey, where almost all the kids are students of color. There's a lot of languages spoken in this school. A wide range of learners at the school. So I filmed in those schools, I filmed at a middle school that I would consider to be an upper-class, upper-middle-class or upper-class community in Connecticut. Yeah, so there's a real diversity of kids that you're gonna see onscreen. I will say that the-- I'm thinking of one video in kindergarten, where I'm showing interactive writing and there's a kid like, on the rug, rolling. We didn't edit that out. They're all like very, very real. So no matter what you see, I think you're gonna be feeling like, "Yep! I know that kid." Or, "Yep, I've got one like that in my class."